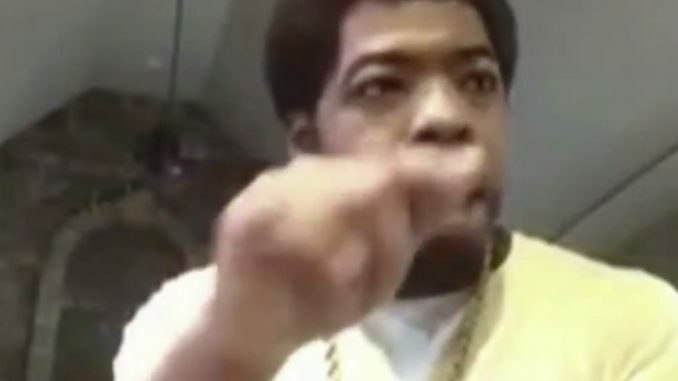 Rapper Webbie explains what happened the night he caught his 2 sons and their friend running a train on a young girl inside his home. Webbie says he was coming home from the studio around 4-5AM and heard a girl’s voice. He went into his sons’ room and found the 2 boys and another male friend, all fully clothed, in the bed with a girl. Upon being caught, they tried to scatter, with the male friend grabbing his backpack and jumping on his bike to run off. Webbie says the friend was responsible for brining the girl to Webbie’s home on the back of his bike, and tried to leave the girl behind after Webbie caught them. Webbie then made his sons retrieve their friend and bring him back to Webbie’s home so he can notify all of their parents. He recorded himself confronting all 4 of them on Instagram live. See that HERE.